Grand Central Publishing, 9781538746264, 464pp. In Russia, in the summer of 1914, as war with Germany looms and the Czar's army tightens its grip on the local Jewish community, Miri Abramov and her brilliant physicist brother, Vanya, are facing an impossible decision. Since their parents drowned fleeing to America, Miri and Vanya have been raised by their babushka, a famous matchmaker who has taught them to protect themselves at all costs: to fight, to kill if necessary, and always to have an escape plan. But now, with fierce, headstrong Miri on the verge of becoming one of Russia's only female surgeons, and Vanya hoping to solve the final puzzles of Einstein's elusive theory of relativity, can they bear to leave the homeland that has given them so much? Before they have time to make their choice, war is declared and Vanya goes missing, along with Miri's fiancé. Miri braves the firing squad to go looking for them both. As the eclipse that will change history darkens skies across Russia, not only the safety of Miri's own family but the future of science itself hangs in the balance. 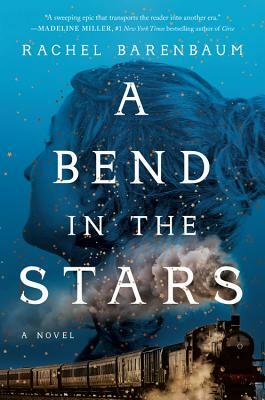 Grounded in real history -- and inspired by the solar eclipse of 1914 -- A Bend in the Stars offers a heartstopping account of modern science's greatest race amidst the chaos of World War I, and a love story as epic as the railways crossing Russia. Rachel Barenbaum is a graduate of Grub Street's Novel Incubator program. In a former life she was a hedge fund manager and a spin instructor, before moving to the New Hampshire woods to write. She has an MBA from the Harvard Business School and an AB in Literature and Philosophy from Harvard College. A Bend in the Stars is her first novel. "A sweeping epic that transports the reader into another era, even as the struggles of its characters feel powerfully modern and timely."